April 25 thousands of people "abducted" themselves to show support for child soldiers who have been recruited for over 20 years. Below is a slide show from Rohit Bhargava of Personality Not Included and the Influential Marketing blog. It outlines eight lessons marketers can learn from this campaign. This week some news about Reality TV stars, online job tools and more. RT @mashable Google Me. No, Really! - http://bit.ly/UfDSX - Make yourself more searchable online. RT @davitydave First-Class Second Cities: Where to Go Instead http://www.frommers.com/art... Agree? Disagree? For real time updates follow me on Twitter @ladyhero. Today I ran across an article in PRWeek announcing TEKgroup International's sixth Newsroom Survey. The survey revealed that 70 percent of journalists "want online newsrooms to provide links to every social media platform that corporations participate in." This is in contrast to the less than 15 percent of respondents who use social media sites for company news. To download a full version of the report visit http://www.tekgroup.com/onlinenewsroomsurvey/. Now think about the clients you represent or the new web site you're building. What does your online newsroom look like? Are you incorporating social media into your overall strategy? It's becoming clear that more and more people are turning to social media as their primary source for news. I receive a large portion of my news through RSS feeds and Twitter. Right now I think media are largely using social networking sites for finding sources rather than gathering news. After all, not every company has a Facebook or Myspace. I predict as more and more companies join social web sites journalists will expect to find company information there. Promoting your clients social media efforts via their online newsroom will help journalists keep track of them on their own favorite social network and will in turn bring you consumers there as well. Good evening, or maybe I should say good morning. This week I discovered some advice for the recently unemployed along with a job opening. I also found some great online travel tools. RT @telie Just found the "Mother of all Lists" from employment to pets to family: http://tinyurl.com/dhrep5 - I could spend all day here. RT @TravlAndLeisure Affordable U.S. Weekend Getaways: http://tinyurl.com/bak5w4 - A fun travel planning tool from T+L. RT @danschawbel 4 Frequent questions about Gen Y http://tinyurl.com/ca85qg - Note: If u feel valued & are bettering urself u won't leave. 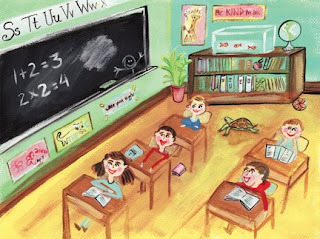 A small blonde first grader glances across the classroom to catch a peak at the cute boy sitting a few chairs over. With a secret smile she looks down at her notebook and writes Mrs. Sarah Brenner. Yes, that first grader was me. It was a simpler time when the thought of taking my future husband's name wasn't a question but a widely known fact. But you see I've grown up a bit since I was six years old, and now the issue of taking my husband's name doesn't seem quite so black and white. Kathy Konrath wrote a great post on this subject on the Personal Branding Blog. While some men might roll their eyes at this "dilemma" I think it's something every 20-something woman should consider. As a young professional I am working hard to get my name out there and become at least slightly well-known in the Milwaukee PR community if not the PR community in general. Honestly, I don't think it's fair to give up my name for traditions sake. For the moment I plan to legally change my name when I marry, but continue to use my maiden name in a professional capacity. This way I can have the best of both worlds. Close friends and family will know me as Mrs. Sarah X. Meanwhile I will have the freedom to continue developing my personal brand in a professional capacity online and in real life. In the past few months I have moved "A 20-something's Perspective" from a few random posts to a place where I write frequently and am not afraid to share my ideas. I have even gained a few subscribers! But lately I’ve been thinking about my goals for the blog and how I would like to see it grow. Frankly, it is time to step up my game and move “A 20-something’s Perspective” to the next level. I think a lot of new bloggers get to this point and are not quite sure what to do or how to make the improvements they seek. 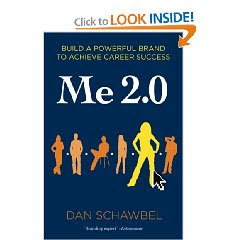 Luckily, Dan Schawbel, a leading personal branding expert for Gen-Y, has just published Me 2.0, and is sharing his 52-page "Blogging Your Brand” guide online. The free guide has some of the best blogging advice I have ever read. It is clear and concise outlining specific steps bloggers can take to make improvements. It is broken up into four sections (beginner, intermediate, advanced and expert) and I am looking forward to putting his advice into practice. You can download a copy of the guide here. Within the next couple months I plan to buy my domain name and make the switch to WordPress. In addition, I want to add more ways for others to share my content through StumbleUpon, Digg, Delicious and other social platforms. The blog’s content is also going to grow and will try to focus more on being a 20-something in the Advertising/PR field. In the future I would like to include interviews, guest blog posts and maybe even some video. I’m really looking forward to taking this blog to the next level. As I embark on this journey please tell me what you would like to see at "A 20-something's Perspective." Are there topics you would like covered? Is there some new functionality you crave? Please feel free to share your ideas in the comments section or send me an e-mail at sarahsoczka@gmail.com. I look forward to hearing from you. This week there was a lot of good conversation and posts about the PR industry. Check out a new effort by @PRsarahevans, @skydiver and others called MediaOnTwitter. RT @TDefren "The True & Remarkable Fate of Public Relations" http://is.gd/pGoG - Great post about the future of PR. RT @SocialMedia411 Who Wins the Struggle for Social Media Control In Your Organization? http://bit.ly/15SrtH - I'm voting for PR! RT @russfeingold STAFF: Introducing 'Fein'Tunes http://www.russfeingold.org - Ha! This is awesome. Wisconsin's State Senator rocks. Are you a Shaq or a Britney? I understand why this concept upsets many social media advocates who preach authenticity (as do I), but in some cases is ghostwriting really so bad? I mean, does anyone really truly believe that @BarackObama is Barack Obama? Of course not, but during the 2008 election I didn't hear anyone shouting blasphemy. Instead I read stories and listened to newscasts about how innovative the Obama campaign was. How they were leading the way for future political campaigns. So the question then is when is it okay to hire a ghostwriter? 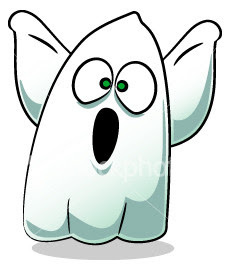 My personal rule of thumb, if you are a celebrity or business it might be okay to hire a ghostwriter. Obviously, I would encourage everyone to tweet on their own behalf. In Shaq's words, "It's 140 characters. If you need a ghostwriter for that, I feel sorry for you." However, as long as one person is managing your account I do not take issue with the practice. After all, if I am hired to represent a company I do my best to integrate myself and become part of the team. More often than not I do feel part of the team, so why wouldn't I be allowed to tweet on behalf of company XYZ? Isn't that what PR people are hired to do? Communicate on behalf of their clients? I realize this is n0t ideal, but as long as the company is posting quality content and continues to be interactive and as transparent as possible does it really matter if the message comes from the PR agency or the internal PR team? In addition, as long as a celebrity's Twitter account doesn't try to pass itself off as the real person a ghostwriter might even be preferable! After all, a celebrity is a type of brand just like a company. In fact, a celebrity ghostwriter is likely to be much more responsive than an actual celebrity and more responsible. As in they will actually know when the next interview is taking place and at what time. At the end of the day I too wish that each Twitter account, each blog post could be authentic and real. But let's face it, as different social networks become popular this is not always going to be possible. It's time for some of us to come back to reality, jump down from our high horse and appreciate some Twitter accounts for what they are.